[March, 2012] — Jeffrey B. Peters has been named a “Love Ambassador” by The Love Foundation (www.thelovefoundation.com), a nonprofit organization with the mission of inspiring people to love unconditionally. The announcement was made by TLF’s founder and president, Harold W. Becker, author of Unconditional Love – An Unlimited Way of Being, and Internal Power: Seven Doorways to Self Discovery. The Love Foundation is home of Global Love Day. Jeffrey Peters is president of the The US-Mexican Development Corporation [USMDC] (http://www.us-mdc.com/), which brings Mexican and American entrepreneurs together in trade and business transactions such as start-ups, mergers and acquisitions, buying and selling companies, tourism, and residential retirement communities and vacation realty. He was co-founder with his wife Cici of We The People (http://wethepeople-wtp.org/), on whose behalf he ran as candidate for President of the United States in 2000. The Love Foundation says about its vision and purpose: “To further the understanding and application of unconditional love through education, research, and charitable programs. The desire is to explore a variety of activities that enhance unity and self-conscious expression while promoting love and respect to all aspects of life. Mr. Peters joins a sizeable list of “Love Ambassadors” from around the world. This list includes such notables as Ravi Shankar, legendary sitarist and composer, India’s most esteemed musical ambassador; the late great Vaclav Havel, playwright, poet and first President of the Czech Republic; Ram Dass, American contemporary spiritual teacher and the author of the seminal book Be Here Now; and folk music legend Pete Seeger. What? What do I mean by “A New World Community?” I mean a New World Community of Love and Peace for everyone, everywhere. We want the words Love and Peace; on your lips as you greet one another. We want “Love and Peace” on the top of your mind, and in the bottom of your heart. Where? In the hearts and minds of all people, worldwide. In Tepoztlan, the spiritual capitol of Mexico. Why? Why do suicide bombers kill themselves in order to kill others? There are many possibilities. Probably the most basic reason is that they feel their own life is not worth living, and they want the foreign invaders to leave their home country. Perhaps they do not have a job and their family needs money, and their “mentors” promise money for their family. And perhaps at their core, they do not love themselves nor have they received unconditional love from anyone, and their leaders promise them love in the “hereafter”. A beautiful song reminds us - “What the world needs now is love, sweet love, it’s the only thing that there’s just too little of”. “What the world needs now is love, sweet love, no, not just for some but for everyone”. Love for suicide bombers before, that’s right, before they destroy themselves and us. If potential suicide bombers received genuine love here on earth, they might not kill themselves to receive possible love in the “hereafter.” There can be no peace without love. Love first, then peace. Invitation: I have an Invitation for you – as one of God’s Ambassadors of Love, I invite you to co-create with me “A New World Community of Love and Peace”- will you step forward and help me? If you want to participate. Contact me with your feedback, comments, and suggestions for this work in progress – my email address is: jeffreybpeters@aol.com. My USA phone number is 1-301-560-1830. 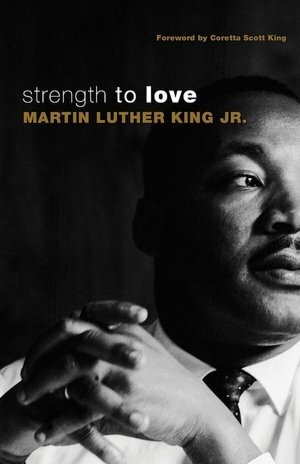 The remarkable courage and deep conviction of Martin Luther King Jr. live on in this classic prophetic text, a veritable primer in the principles and practice of nonviolence. View our recommended reading list by clicking here!